A new line of 4-in-1 3.5-mm calibration kits for test and measurement, field testing, antenna measurement and cable verification applications consists of two models, both with a compact, lightweight, 4-in-1 design package. These short-open-load-through (SOLT) calibration kits have a 26.5-GHz calibration capability. They feature gold-plated 3.5-mm connectors and a handy lanyard. Plus, they are available off-the-shelf and can be shipped immediately. These SOLT calibration kits have an impedance level of 50 Ω nominal. They also have a phase deviation of ±2 degrees maximum and return loss of 30 dB minimum. They are candidates for telecommunications, military electronics, automotive, medical, aerospace and consumer electronics industries. “We are excited to add these broadband kits to our growing line of test and measurement products. The 26.5-GHz calibration capability of these portable, lightweight packages will be a welcomed addition to our field test products,” said Dan Birch, Product Manager. Pasternack’s new 4-in-1 calibration kits are in stock and ready for immediate shipment with no minimum order quantity. 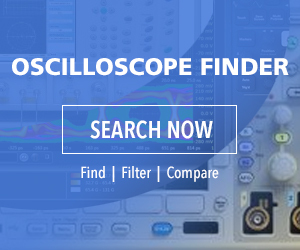 Pasternack, 17792 Fitch, Irvine, CA 92614, (978) 682-6936, https://www.pasternack.com/pages/rf-microwave-and-millimeter-wave-products/4-in-1-calibration-26.5-ghz.html.